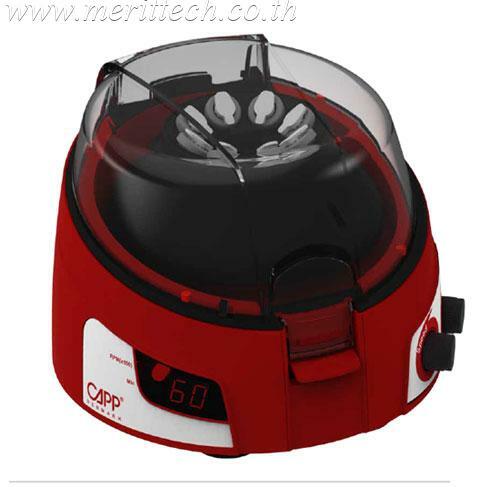 CappRondoTM Microcentrifuge has a lot more to offer compared to the basic microcentrifuge available in the market. It is available in two options, where the #CR-68 is the basic version with fixed speed of 6000rpm/2000g, where #CR-68X is the advanced version with programmable speed of up to 6000rpm/2000g and a timer function, all operated by two buttons and a digital display. 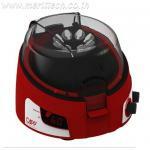 - Supplied with 8 slot closed rotor for quiet & powerful operation. microtubes supplied along with product. - Electronic safety brake provides an immediate stop on lid opening. - Quick operation by simply closing and opening the lid. - Imbalance cut-off safety feature (CR-68X). - Digital calibration function (CR-68X). - Digital display of speed and timer function (CR-68X). 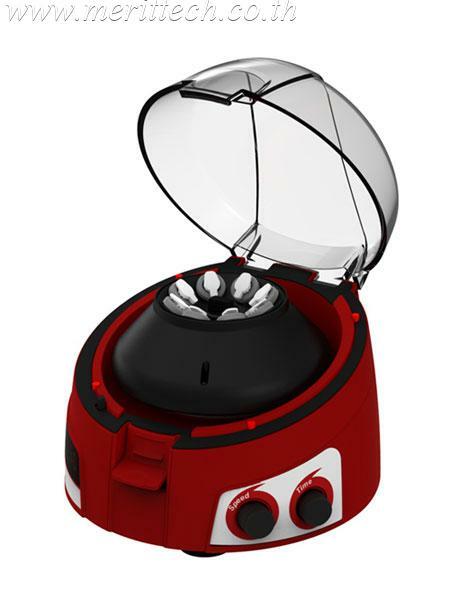 - Capp Rondo Microcentrifuge w/ adjustable speed and timer function, max.